The Law Offices of Mark Murad is a Pasadena personal injury and general litigation law firm. 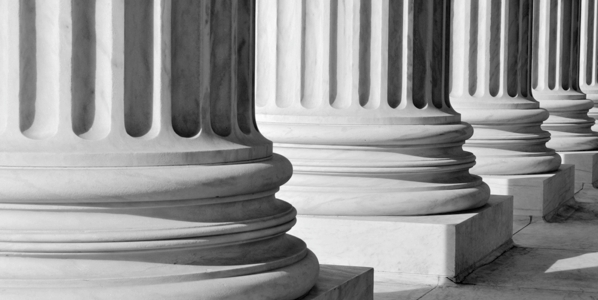 Our attorneys stand ready to zealously advocate on your behalf. Based in Pasadena, California, the Law Offices of Mark Murad can and will be an informed advocate for you and your case. We share the interests of each of our clients, and make it our mission to provide you with timely and knowledgeable legal advice at every turn. Our Pasadena lawyers will communicate openly with you regarding both the short and long-term implications of each decision. Our resolution is getting you the best possible legal solution. At the Law Offices of Mark Murad, we offer free initial phone consultations to give our clients an opportunity to let us assess your needs. For your convenience, we will meet with you during evening hours and on weekends by appointment. Our attorneys are experienced Pasadena lawyers who specialize in personal injury litigation, commercial litigation, business disputes, contracts, and real estate law. We also handle immigration matters, trusts and wills, and estate planning. Mark Murad, the founding member of the law firm, is an experienced trial attorney who will personally handle all matters, including personal injury and business litigation, real estate disputes, estate planning, and immigration. Mr. Murad, a member of the Pasadena Chamber of Commerce and Pasadena Bar Association, is proud to be an attorney who works closely with his clients in achieving their objectives. Mr. Murad is more than a trial attorney; he is a dedicated advocate for his clients’ rights. The Law Offices of Mark Murad, a Pasadena firm, will handle cases throughout Los Angeles and California. If you need any legal advice, contact us today. We go the extra distance for you, to ensure that you get the answers and results you deserve. Contact us at the Law Offices of Mark Murad | Pasadena. This website is provided for informational purposes only and does not contain legal advice. The transmission and/or receipt of information contained on this website neither form nor constitute an attorney-client relationship. An attorney-client relationship between you and the Law Offices of Mark Murad, can only be created by signing of a Legal Representation Agreement. You should not act or rely upon any information on this website without seeking professional advice. The information on this Website may not be up-to-date. © 2012 The Law Offices of Mark Murad. All rights reserved.